Well, we’ve got to the last of the 2016 crop and what a way to finish. Amanda Rheaume’s “Holding Patterns” is a velvet punch of an album. On the surface it’s a very polished and musically accomplished piece of work with more than a nod in the direction of Nashville, but when you dig a little deeper, it mines some deep lyrical seams. With a variety of musical textures, the element holding everything together is Amanda’s pure, clear and beautifully controlled voice delivering across the musical spectrum from the quiet pathos of “All that You Need” to the raucous energy and amped-up blues harp of “Blood From a Stone”, the album’s Alanis Morissette “You Oughta Know” moment, which references that song in the lyrics. I’m not normally a fan of albums using a lot of co-writers, but Amanda Rheaume has made it work here, possibly because she went into the project with a very clear idea of the album’s message and every element is harnessed in that cause. There’s a sense of loss that pervades the album, relating to the death of a friend at a tragically young age and the end of a troubled long-term relationship, but that’s what performers do; they make sense of the chaos around them by turning it into beautiful music. Interwoven with sense of loss is a strand of identification with place and family in the true story of a distant relative who survived a landslide at the age of eighteen months (“The Day the Mountain Fell”) and the use of her grandfather’s phrase “Wolf of Time” about the dangers of allowing life to happen around you without taking time to do the things that are really important. And even after all this, there’s still an ace in the hole. The hauntingly gorgeous “Red Dress” seduces you into falling on love on a musical level while delivering a powerful message about victim-blaming in the cases of indigenous women who are murdered or go missing. The power of the message is amplified by the steady, matter of fact delivery. The album is a triumph of subtle musical settings for historical stories, folk wisdom and the difficulties of human relationships, all delivered by a perfect voice. 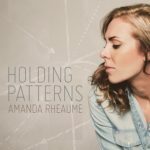 “Holding Patterns” is released on Friday December 2 and Amanda Rheaume will be touring the UK in January/February 2017. As ways to start the night go, having a chinwag with Joe Brown in the toilets at The Half Moon is a pretty good, if slightly surreal, one. So what’s he doing there on a Monday night? Perfectly obvious really; both Mollie Marriott and her support act Mo Evans are family and Joe’s there to support them. And he’s not the only one. Judie Tzuke (one of Mollie’s writing partners) has shown up as well. There’s a bit of a buzz around this show because it’s the debut for Mollie’s full band, and most of the audience is anticipating some new material as well. But before we get to that, there’s a short set from Mollie’s nephew, Mo Evans, who’s a singer-songwriter in the confessional mould. Armed with only an acoustic guitar, a capo and some interesting tunings, he manages to grab the audience from the start. It’s a difficult job at the best of times, particularly when your songs don’t have too many happy moments, but they’re a pretty good crowd and he gets them onside. There’s a particularly nice moment at the end of the set when his guitar amp gives up and he reacts by jumping down from the stage and gathering the audience around him to finish the set completely unplugged. Mollie’s been doing acoustic gigs and radio appearances recently with Johnson-Jay Medwik-Daley (guitar and backing vocals) and Izzy Chase-Phillmore (backing vocals) and this line-up is augmented for the album material by Sam Tanner, Alex Reeves and Henrik Irgens (keyboards, drums and bass). There’s an assurance about the band’s performance that only comes from putting in the hours in rehearsal; there should be some nerves showing on the first outing with new material but they’re well hidden. The band are all great individual musicians but this is about working together to showcase the songs and Mollie’s voice. Oh yes, that voice; it’s powerful and pure and strong (which you would expect from someone who’s worked extensively as a backing singer) but when she pushes it towards the limit, there’s a raw emotional edge there that you only find in the truly great blues and soul singers. On top of all that, she’s a genuinely engaging stage personality who has a great rapport with her band and the audience. The set features the two singles “Ship of Fools” and “Transformer”, the Alanis Morissette cover “Mary Jane” and a selection of new material from the album, including “Give Me a Reason” which features some lovely harmonies from Izzy and Johnson-Jay; the audience loves it. There’s a huge amount of love and mutual respect on stage but also between the band and the audience, which all helps to create a perfect live music experience. The Half Moon isn’t full by any means, but anyone who was there will be spreading the word. So, is 2015 the breakthrough year for Mollie Marriott? It certainly looks like this is the right time for the big push; she’s been around the music business for a few years now and she’s highly respected as a backing vocalist, but she now has an album’s worth of songs, a tremendous band behind her, a label and a good support team. And, in case I hadn’t mentioned this already, a phenomenal voice. “Transformer” is already generating media attention and picking up local radio playlistings, and with the album coming out later this year, this just might be Mollie’s time; I really hope so. Well, first gig of 2015 and it’s my first visit to The Hospital Club near Covent Garden to see Mollie Marriott play an acoustic set at ‘Vin’s Night In’. The former St Paul’s Hospital has an unassuming exterior on Endell Street which opens into an Aladdin’s Cave of bars, television and recording studios, an art gallery, a restaurant and a live music space, so guess where we’re heading (after the bar)? The Oak Room is a cosy 125-capacity space with a nice sound system and, more importantly, a good sound engineer. Musically, ‘Vin’s Night In’ is about giving a break to up-and-coming or undiscovered talent and we’re not about to argue with that. So, first up musically was Louis Dunford and the impact was immediate. His highly distinctive deadpan vocal delivery works perfectly as a vehicle for his songs of adolescence and teenage years in London in the Lily Allen era mid-noughties. The lyrics are well-crafted and witty, and feel like a darker, grittier version of “Alright, Still”. It’s only a short set, but the audience love “When We Were Hooligans”, Saturday Night/Sunday Mourning” and “London’s Requiem”. Let’s hope his mum forgave him for “When We Were Hooligans”. Chaz Thorogood was next up, turning in an interesting set which relied on his loop pedal a little bit too much for my liking, but which finished on a spacy, psychedelic cover of “Toxic” with not even a hint of that annoyingly catchy hook; fair play to him for that. After a quick interval and a one-song cameo appearance (sounding great without the benefit of a soundcheck) from singer-songwriter Bea Munro, it was time for Mollie Marriott. It’s hard to believe that Mollie Marriott’s been involved in the music business for nearly twenty years now. She started at the age of twelve with her girl band D2M and has been involved in music ever since, racking up a very impressive list of backing vocal credits. After hearing her with the Jim Stapley Band, I’ve been looking out for a solo gig and this was it. Mollie was joined by Jim Stapley band members Johnson Jay Medwik-Daley (for the entire set) and Izzy Chase-Phillmore (for most of the set); you’d be surprised at how big one guitar and three voices can sound. Even within the limits of a short acoustic set which included the two singles “Ship of Fools” (a World Party cover) and “Transformer” (co-written with Judie Tzuke and Graham Kearns) and a cover of Alanis Morissette’s “Mary Jane”, Mollie displayed a very impressive dynamic range and the ability to engage effortlessly with the audience. What sets Mollie Marriott apart from the thousands of performers who can sing well is that she has a lot more than the powerful pure pop voice of “Transformer”; she can push it to the limit to bring out the ragged emotional edges that work so well with blues and soul songs. As a singer, she’s the real deal and it’s looking like she can write as well. This should be a big year for Mollie, with a new album due out in 2015; let’s hope it gives her the breakthrough her talent deserves. You can see Mollie playing with her band at The Half Moon in Putney on Monday 23 February. “When I Was Your Girl”, the lead single from Alison Moyet’s eighth solo album, suggests it is business as usual for the big-voiced Essex star; jangly soft rock pop, Radio 2 playlisted if it’s lucky, powerful and instantly identifiable vocal. You know the sort of thing. It’s a trick though, a decoy and a very welcome one at that. For a very long time, nearly 30 years in fact, I have hoped that Moyet would record an electronic album again, something reminiscent, admittedly, of Yazoo, the 1980’s dream man- woman electro pop duo that Moyet was one half of, and finally it’s arrived; but can anything be worth that long a wait? 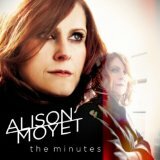 The Minutes” is produced and co-written with Moyet by Guy Sigsworth who has worked with some very big, predominantly female stars. His involvement with Bjork for example resulted in some of her very best work and he encouraged Madonna to be both introspective and accessible on “What It Feels Like For a Girl”, but this doesn’t sound like Bjork or Madonna. It does however contain the same musical blueprint that can be found all over his recent work with Alanis Morissette (the material in question here is much stronger though) and in particular the one-off band he formed with Imogen Heap in 2002, Frou Frou. Entirely electronic, Sigworth favours big gestures both musically and vocally from the artists he collaborates with and with Alison Moyet he seems to have found the perfect, immaculate voice. “Horizon Flame” is a strong, showy, cinematic start with synthetic strings (which I can always spot and never like), and a brooding mood. “Changeling” demonstrates early on the worst excesses of Sigworth’s production, which can be very everything but the kitchen sink. A bit of dubstep, robotic r’n’b, drum ‘n’ bass, you name it, but god it’s nice to have Moyet snarling again; ‘how does anybody get to work like this’ she stroppily demands. Once this is out of the way though, the two really begin to find ways to push and pull each other in some very interesting directions. “Love Reign Supreme” is joyous, speeding pop and “Right As Rain” is a pure, simple electronic dance track, not self-consciously camp, which some may have hoped for, but a tight rhythm track with Moyet seductively taunting the instantly appealing melody. Even better, and there are some brilliantly crafted songs here, is the slower “Filigree” which has shades of “The Winner Takes It All” melodically and musically is straight-up Yazoo. Whether this was conscious or not we will probably never know but it is such a joy to hear. Moyet inhabits these tracks with an ease and confidence that should be taught, her many years of experience and success shining through and she should be equally credited with some brilliantly imaginative, poetic language in respect to the song writing (‘I fell into a cinema, watching pictures in a dream, shifting the fidget into still, nine other people take their leave’; the opening lines of “Filigree”) which is of a consistently high quality. The final track “Rung By The Tide” merges the kind of folk song structure that has been prominent in Moyet’s more recent work with a pop sensibility, showered with some breath-taking electronics which create a portrait of something wild and beautiful. It’s the sort of thing that Ellie Goulding was aiming for on her last album but didn’t have the wherewithal to pull off. Alison Moyet has been quoted as saying that this has been the best time she has ever experienced whilst recording an album, the freest she has felt in the studio and most true to what she dared to create now, in 2013. This kind of statement does not necessarily bode well for an artist of Moyet’s stature, it can suggest that self-indulgence and loss of quality control may have run amok but this isn’t the case here, with Guy Sigsworth turning out to her most compatible musical partner since Vince Clarke. It’s lovely to think that after 3 decades and with no jazz standards or cover versions insight, as she feared she would be forced into recording by her record company, Alison Moyet has made a superb grown-up, inventive pop record and satisfyingly, it’s her best yet.